The 2019 Festival Map is shown below. Click on the map to display it full screen. 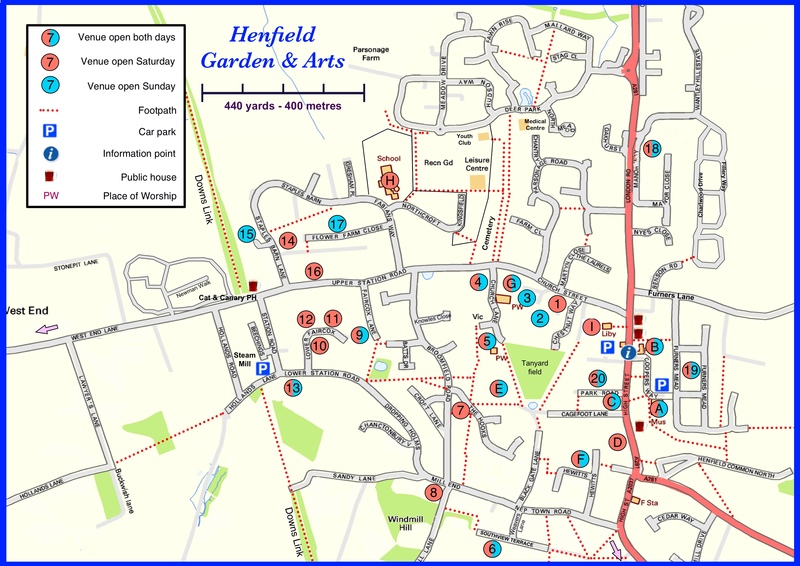 This year, each coloured garden number shows whether the garden is open (a) both days (b) Saturday only (c) Sunday only. There is also a new 440 yard/400 metre scale - divided into four 110 yard/100 metre sections - so that visitors to the village can get some idea of distance from one venue to another. You can download the map as a separate file for your phone, tablet or computer, or for printing. Click the icon below to download the map .